The Flourish Living Platform offers a set of tools and information for users to learn on which they may do many things, including provide information. Flourish Living also allows access to the Teachable Platform to users for use by our members. Flourish is responsible for the processing of personal data it receives, under the Privacy Shield Framework, and subsequently transfers to a third party acting as an agent on its behalf. Flourish complies with the Privacy Shield Principles for all onward transfers of personal data from the EU, including the onward transfer liability provisions. With respect to personal data received or transferred pursuant to the Privacy Shield Framework, Flourish is subject to the regulatory enforcement powers of the U.S. Federal Trade Commission. In certain situations, Flourish may be required to disclose personal data in response to lawful requests by public authorities, including to meet national security or law enforcement requirements. Flourish has further committed to cooperate with EU data protection authorities (DPAs) with regard to unresolved Privacy Shield complaints concerning human resources data transferred from the EU in the context of the employment relationship. If you do not receive timely acknowledgment of your complaint from us, or if we have not addressed your complaint to your satisfaction, please contact the EU DPAs for more information or to file a complaint. The services of EU DPAs are provided at no cost to you. The GDPR is an EU Regulation to improve the protection of the personal data of EU citizens and increase the obligations of organizations who collect or process personal data. These new regulations take effect on the 25th of May 2018. The regulations greatly enhance the data privacy and security of our customers and extend to them exercisable rights enabling greater control over one's personally identifiable information. Flourish functions as both a controller and processor of our customers' personally identifiable information (PII). Additionally, we employ a number of sub-processors to which we transmit data for storage or processing beyond feature sets under our immediate control. As a controller of data, we store PII such as customer names, email addresses, physical addresses, IP addresses, phone numbers and avatars. We use databases through GDPR compliant service providers (AWS, Heroku, mLab) to store sensitive customer data. •	Any third party (including our affiliates and subsidiaries), including through any application or content (including advertising) that may link to or be accessible from or on the Flourish Platform. "Personal data" is any data that (1) is recorded in any form, (2) is about or pertains to a specific individual and (3) can be linked to that individual. For example, and without limitation, your first and last names, address, email address, telephone number, and other contact information, and the deals in which you have participated are "personal data." We collect personal data at different stages of your use of the Flourish Platform. When you visit flourish-living.com - If you visit flourish-living.com or use an interface which interacts with flourish-living.com, whether or not you sign-in as a registered user, we collect your IP address, the location of your Internet Service Provider, the type and version of Internet browser that you are using, and the website from which you came. We also collect information regarding your site usage, such as the time spent on a page and the number of pages you viewed. When you interact with the Flourish Platform -We also collect personal data that you provide when you interact with the Flourish Platform such as, for example, by sending a message or when exchanging correspondence with us such as through support emails. •	If you are Teachable member, you may record in your profile about yourself, such as your contact information, picture, or biography. We collect personal data directly from you when you provide it through your use of the Flourish Platform, such as in emails or when you fill out forms that are displayed on the Flourish Platform. Flourish uses your personal data to maintain your account and to contact you and to provide you with information that we believe may be of interest to you. With whom may Flourish share personal data? •	Service Providers - Flourish may engage other companies and individuals to perform necessary business functions on behalf of Flourish (e.g. customer service or email provider). If it is necessary to perform these functions, these companies or individuals may have access to personal data of our users. These service providers have agreed not to use the personal data for any other purpose other than providing the required services. Upon request Flourish will provide you with information about whether we hold any of your personal information. If your personal data changes, you may correct, update, or amend by making the change on our member information page or by emailing our Customer Support at hello@flourish-living.com or by contacting us by postal mail at the contact information listed below. If you wish to delete/remove/deactivate your profile, or remove your testimonial from our site, please email us at hello@flourish-living.com. We will respond to your request within 30 days. We will retain your information for as long as your account is active to provide you services. We will retain and use your information as necessary to comply with our legal obligations, resolve disputes, and enforce our agreements. For auditing and security purposes, Flourish keeps a log of all users' activities, which is retained in its archives as necessary for Flourish to fulfill its obligations. Users may have access to the personal data that pertain to them. However, because the administrative and technical burden associated with the retrieval of these archived data is substantial, Flourish charges a fee for this effort in a manner that is consistent with its actual cost. In addition, each user's right of access may be limited to the extent that providing access might infringe on a third party's privacy rights. Requests for access to this archived information are handled on a case-by-case basis, after Flourish has verified the identity of the requestor. Inquiries should be made as provided in the section. You can delete any personal data that is recorded in the profile that you create for yourself. We display text testimonials of satisfied customers on our site in addition to other endorsements. With your consent we may post your video testimonial along with your name. If you wish to update or delete your testimonial, you can contact us at hello@flourish-living.com. Website data is aggregated data about the overall traffic to, and usage of the Flourish Platform. 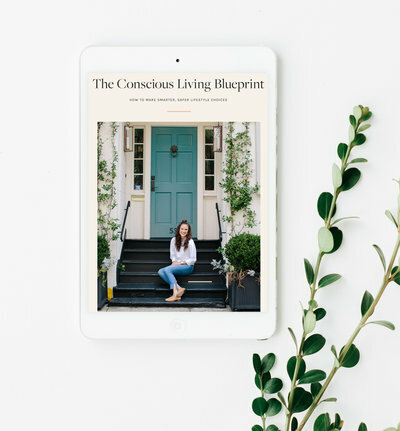 Examples include the number of visitors to the flourish-living.com website and the number of registered users of the Flourish Platform. Flourish may extract and use website data for internal purposes, in order to analyze the performance of the Flourish Platform and applications. For example, we may use these data for traffic analysis and business decision making, in order to determine how we can improve our site or its functionalities. Flourish uses 'cookies.' A cookie is a small amount of data sent to a user's web browser from a web server, which is then stored on the user's hard drive. Cookies are used to make site navigation easier, and can help recognize a returning visitor. Flourish's cookies do not generate any personal data, do not read personal data from your computer, and are not tied to any personal data. Most browsers automatically accept cookies. You can instruct your browser, by editing its options, to stop accepting cookies, or to prompt you before accepting cookies from the sites that you visit. If you decide not to accept our cookies, some or all features of the site may not be available because navigation on the site is facilitated by cookies. You can delete cookies from your computer at any time. You can learn more about cookies by visiting: http://www.allaboutcookies.org or www.networkadvertising.org . Flourish uses action tags. An action tag is a small piece of code that is placed on a webpage or in an email in order to track the pages viewed or the messages opened, the date and time when someone visited our website, the website from which the visitor came, the type of browser used, and the domain name and address of the user's Internet Service Provider. Action tags allow us to better understand how users and visitors use our site or browse through our pages, so that we can improve access to and navigation through the site, add or modify pages, according to our user's patterns. Action tags cannot be removed or deleted by our users, because they are part of the programming of a webpage. Log file information is automatically reported by your browser each time you access a web page. When you use the Flourish Platform, our servers automatically record certain information that your web browser sends out whenever you visit any website. These server logs may include information such as your web request, IP address, browser type, referring/exit pages, operating system, date/time stamp, the files viewed on our site (e.g., HTML pages, graphics, etc.) and URLs, number of clicks, domain names, landing pages, pages viewed, and other similar information. When you use the Flourish Platform, we may employ web beacons, which are used to track the online usage patterns of Users anonymously. No personal data from your account is collected using these beacons. In addition, we may also use web beacons in HTML-based emails sent to Users to track which emails are opened by recipients. Flourish does not track or use Do Not Track signals. Flourish uses physical, technical, and administrative procedures in order to safeguard and protect personal data from loss, misuse, unauthorized access, disclosure, alteration, and destruction. However, while we do our best to implement reasonable security measures, we do not guarantee that our safeguards will always work. Flourish uses industry-standard technological means to protect your personal data while in transit through the Internet. We use encryption and a comprehensive authentication protocol to provide reasonable security. However, please remember that no security system on the Internet is perfect. If you have any questions about security on our Web site, you can contact us at hello@flourish-living.com. When will Flourish contact me? Flourish will communicate with you in response to your requests for service or customer support. We will contact you by phone or by email, according to your preference. Flourish may provide links to other websites. We are not responsible for the privacy practices or content of these sites. In order to safeguard your privacy, please review the privacy policies of any sites that you may visit before providing any personal data to these third party sites. Flourish exercises reasonable efforts to safeguard the security and confidentiality of your personal data; however, transmissions protected by industry standard technology and administered by humans cannot be guaranteed to be secure. Flourish will not be liable for unauthorized disclosure of personal data that occurs through no fault of Flourish including, but not limited to, errors in transmission, access to your account by anyone uses your user ID and password, your failure to comply with your security obligations, and the unauthorized acts of Flourish's employees. You will have the right to terminate your account at any time. Flourish Living LLC owns and operates the flourish-living.com web site and the Flourish Platform.